Zinc, coarse thread wood screws. 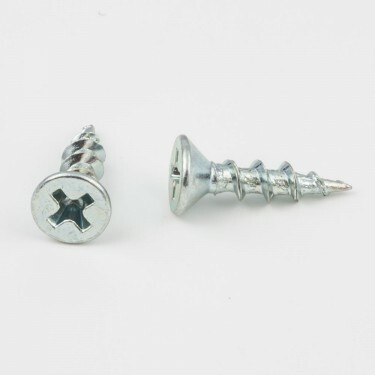 These screws are used for mounting hinges to cabinets or doors. Can be used anywhere where you need a good aggressive flat head wood screw of this size.